The 2018 Volkswagen Jetta is regarded as an exceptionally safe vehicle. The Insurance Institute for Highway Safety (IIHS) pegs the compact ride as a “Top Safety Pick+,” which is its highest designation**. The Jetta earns that top-level honor because it earned the best possible score (“Good”) on all of the organization’s five crashworthiness tests, a “Superior” (or, at the very least, “Advanced”) score in terms of front crash prevention, and a “Good” (or, at the very least, “Acceptable”) score in the effectiveness of its headlight illumination. The 2018 Honda Civic, by comparison, is designated as a “Top Safety Pick” vehicle: which is also exceptional, but ultimately a notch below the Jetta. J.D. Power projects the reliability of each new vehicle based on an evaluation of reported issues during the first 90 days of ownership. The renowned car research information firm awards a number of “Power Circles” on a scale of 1 to 5 (1 being the lowest, 5 being the highest). The 2018 Volkswagen Jetta gets 4 Power Circles—a 4/5 rating—which means that it is one of the top compact cars to get if you want something that is less likely to need major repairs or replacements during the period of ownership. Although Honda has a long and illustrious history of building reliable vehicles, the latest Civic gets a 3.5/5 rating, which is still good, but not as good as that of the Jetta. According to the IIHS, about 50 percent of fatal crashes in the United States happen in the dark, and more than a quarter of them occur on unlit roads**. Thus, the organization focuses on whether vehicles’ headlights perform their job well. Factors such as headlight technology, bulb type differences, and even how the lights are aimed are considered to determine the amount of useful light being supplied. According to the IIHS, the headlight effectiveness of the 2018 Jetta is remarkable—enough to give it an “Acceptable” rating; that’s just one notch below the top-level “Good” rating**. In contrast, the 2018 Honda Civic gets the bottom-level “Poor” rating. 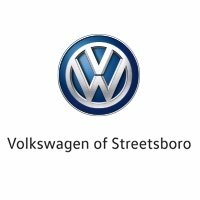 For a test drive of the 2018 Volkswagen Jetta over the 2018 Honda Civic, come see us at our dealership in Streetsboro, Ohio. We pride ourselves on providing top-notch customer service that makes your satisfaction our highest priority. And we have a well-trained and experienced team that can help you get into the exact vehicle of your desires. Give us a call today to set up an appointment.